When you’re looking for new church pews, pulpits, and other sanctuary furniture, you’ll find that they aren’t all made in America. All of our church pews are made right here in the United States by our family with quality, consistency, and care. That’s something you might not get with pews manufactured in other countries and shipped to your church for installation. Like all churches, you want to be a good steward of money given in the Lord’s name so ensuring that you’re getting the best quality you can afford should be at the top of your list. All of our pews are proudly made in Twin Oaks, Oklahoma. We’re part of a small community of 200 and have dedicated our lives to the Lord by helping churches get great church pews for less without sacrifices in quality. 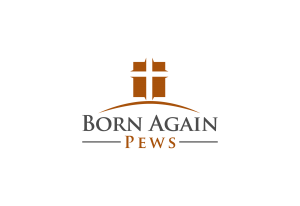 When you ask us to make pews for your church, we use high quality materials and assemble them with care and attention here in the United States. Instead of using veneers or particle board, we use the best quality materials. Each church pew is made using solid oak and high quality plywood under the cushions so they’ll last for decades. And if you ever had any problems with your church pews, our warranty backs up our workmanship. In fact, we have the best warranty in the new church pew industry so should anything ever go awry, we’ll be there to fix it. When you choose American made goods, you’re not only supporting American workers, you’re also making an environmentally responsible choice. Furniture shipped in from China (which describes most of the new furniture sold in the U.S. today) uses much more fuel than our pews, which we deliver to you directly. We also install your new church pews and other furniture directly in your church. There’s nothing for you to worry about — we take care of you from start to finish. You can depend on the quality of our church pews made in Oklahoma. As we see it, we’re doing our best to serve God by serving our customers as best we can.